Panasonic 78W replacement laptop Power Adapter for Panasonic ToughBook CF-73 CF-29 CF-30. Buy cheap laptop Power Adapters, 78W laptop Power Adapter with low price and high quality!This GSB-BG0 Panasonic 78W meet or exceed the original laptop Power Adapter specifications. The interface plugs and sockets used must be sized. 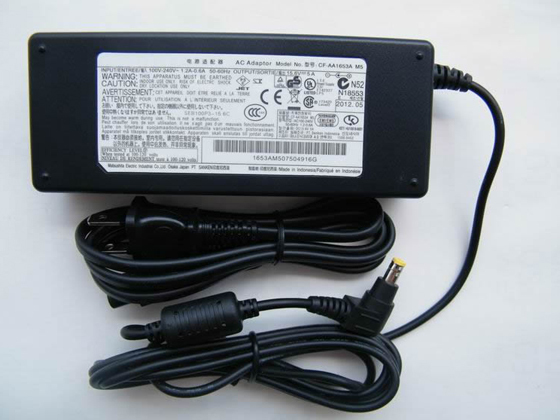 The output voltage of the adapter is the same as the voltage required by the connected device (such as a notebook). Inconsistent, it may be that the device cannot be started or burned properly. The power of the adapter is greater than the maximum power required by the device. Insufficient power may cause a voltage drop, an abnormal heat in the adapter, or burn the adapter. In summary, the power adapter with a higher power can be replaced if the interface and voltage conditions are met.